slip and falls happen everywhere. It can happen at the supermarkets, office buildings, malls, hotels, city sidewalks, and private homes. The fact is, dangerous, unsafe conditions can happen anywhere, such as uneven tiles/flooring, a slippery floor, blocked aisles at a market, falling rubble/rubbish or poor lighting and uneven sidewalk. Records have shown that there are thousands of people who get injured from slip and fall accidents. This can be a traumatic and distressing experience. With over 40 years of experienced The Lawyers Group Inc. will help you get the compensation that you and your family deserve. The owners of the properties or businesses will have their lawyers don’t be let them make you a victim again. Let the expert team of highly skilled lawyers at The Lawyers Group Inc. help you every step of the way. 1. Build a strong and powerful case. To build a strong and powerful slip and fall case requires a fluent understanding of the law and evidence, and to presenting the most powerful and the strongest slip and fall case on your behalf. Having a highly skilled, and experienced lawyer is crucial to getting the compensation that you and your family deserves. 2. Getting the highest/maximum compensation. 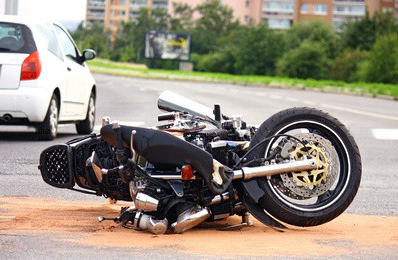 To figure out a insurance claim for slip and fall injuries on your own is a mistake that insurance companies enjoy. Insurance companies have their team of lawyers, and you should get yours. Slip and fall cases require a highly qualified lawyers who know and understand the complex are of the law and presenting evidence in the proper and appropriate time to get you and your family the maximum compensation you deserve. Insurance companies are infamous for undervaluing the injuries of slip and fall victims and paying as little as possible in benefits. Our expert team of lawyers will inform you of your rights, and will negotiate the maximum compensation that you deserve, and will go to court to fight for you every step of the way if necessary. 3. Concentrate on recovering. 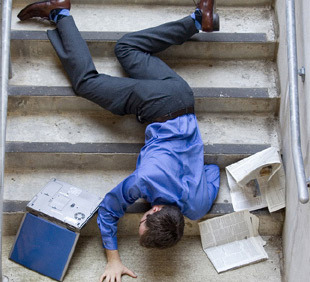 A slip and fall can be physically devastating, emotionally draining and financially expensive. You and your family do not need the extra added don’t need the added stress and hassles of trying to figure out the complex issues of slip and fall laws. Let an experienced compassionate lawyer at The Lawyers Group Inc. do it for you. Slip and fall accidents can be physically devastating, will drain you and your family financially, and emotionally shocking. Don’t make the mistake of taking on the insurance company and their lawyers on your own. Call The Lawyers Group Inc. to set up your free no obligation consultation. We are available 2 hours and 7 days a week. We will win your case or you don’t have to pay. This entry was posted in Uncategorized and tagged Personal Injury, Slip & Fall on April 19, 2013 by admin.